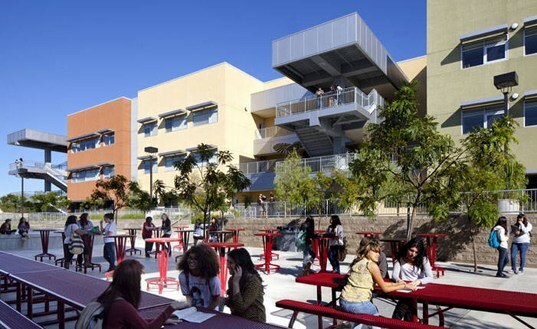 Mission: Provide San Fernando Valley families with an innovative college-preparatory visual and performing arts high school that employs an interdisciplinary curriculum to develop all students’ intellectual skills and creative talents in order to attain measurable artistic and academic excellence. Vision: In a personalized, safe environment, our learning community will offer a standards-based instructional program in theatre arts, dance, vocal and instrumental music, and visual/digital arts, coupled with a rigorous college-career preparatory curriculum. Through an integrated study of the arts, sciences, math, humanities and technology we will graduate literate, cultured individuals who can communicate effectively, think critically, solve problems, and work collaboratively in diverse groups. Our graduates will demonstrate mastery of academic and artistic skills that will enable them to be productive, responsible citizens who take ownership for their own success.